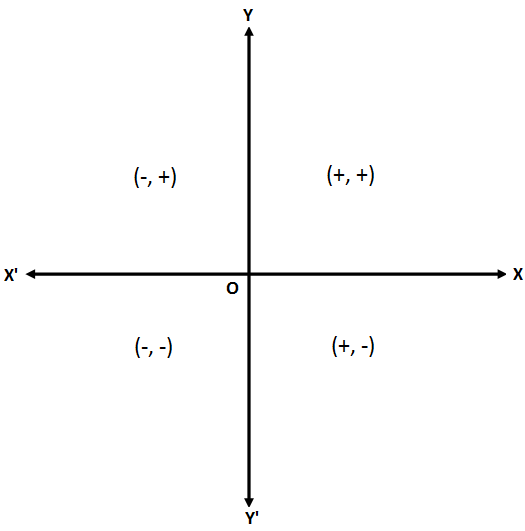 The x-axis (XOX’) and y-axis (YOY’) divided the x-y plane in four regions called quadrants. The region of the plane falling in the angle XOY is called the first quadrant. The region of the plane falling in the angle X’OY is called the second quadrant. The region of the plane falling in the angle X’OY’ is called third quadrant. 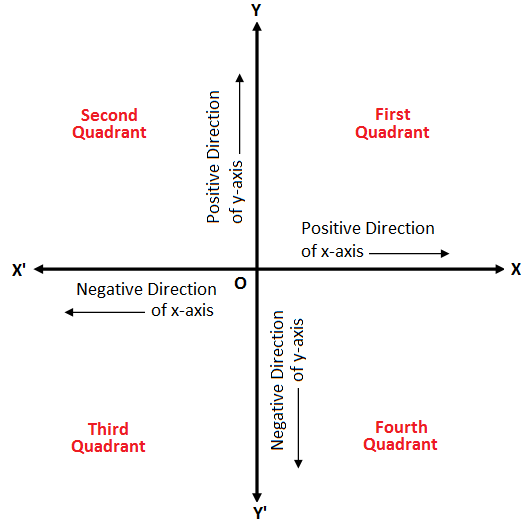 The region of the plane falling in the angle XOY’ is called fourth quadrant. The convention for signs of coordinates (x, y) of a point is described below. Thus (7, 4), (-7, 4), (-7, -4) and (7, -4) represent a point in the first, second, third and fourth quadrant respectively.